From September 25, 2015 to March 6, 2016, the French museum Art Ludique-Le Musée presents an exhibition dedicated to the Art in Video Games. 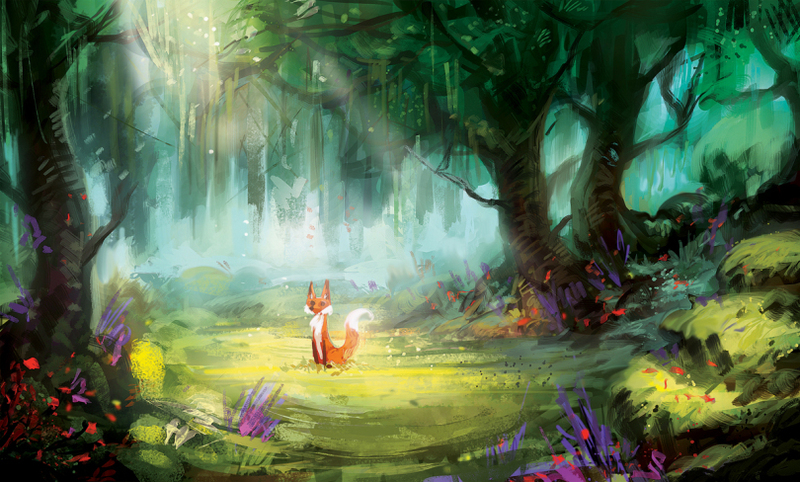 Before even starting the actual development of a game, every studio has several artists draw traditional or digital paintings, portraits, storyboards, concept arts, that are later used as the basis for all the environments and characters depicted in the game. 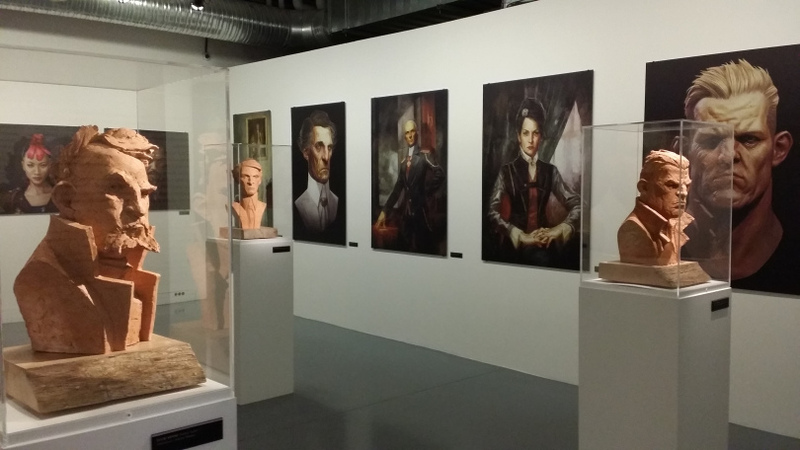 The Art Ludique museum’s idea was to gather several of these preparatory artworks and display them in public – a public who might not be familiar with the idea that game makers are above all artists. Prior to the opening of the exhibition, the curators contacted several French game developers, asking them to send concept arts and other artworks used in the creation of their games. At their surprise, they received hundreds of artworks from all kinds of studios, allowing them to pick out their favourite ones and put together a unique exhibition, thus paying tribute to all the artists who take part in the conception of video games. It is the first time that such an exhibition is presented in the world. Being a blogger who considers video games as a powerful art medium, I obviously wanted to visit this exhibition myself. A couple days ago, I finally took the time to go at the Cité de la Mode et du Design in Paris, where the Art Ludique Museum is located. Here is what I thought of the exhibition. Whether or not you are a gamer yourself, this exhibition will surprise you: non-gamers probably never saw this kind of concept arts before, while gamers generally see these artworks online, in the ‘Bonus’ section of a game or in artbooks. And trust me, this is nothing compared to seeing these artworks for real, displayed in a museum. We generally associate museums with “traditional” and “noble” arts. Somehow, we tend to have this idea that a work of art that is exhibited in a museum is more valuable than other works of art (of course that is not always true, but it still feels that way for most of us). Once displayed in this museum, video games are suddenly elevated to the status of Art. It conveys quite a puzzling feeling to see these works in such a particular context, and it totally changes your perspective upon them. You usually see concept arts online, between two Instagram posts – you watch them for a few seconds, give them a thumbs up and then move on. There, in the museum, these artworks look completely different. For the first time, I realised how valuable these works of art actually are. I took the time to look closely at them, and to appreciate the talent of the artists who painted them. We’re rarely aware of the fact that there are artists behind concept arts, since it is game publishers – not the artists themselves – who release artbooks or post artworks online. This mechanical process tends to depersonalize these artworks – we associate concept arts with one particular game, one particular studio, but rarely with one particular artist. We rarely know the names of the concept artists. Thus I think it is a great recognition for them to see their works framed to the wall, with their signature at the bottom and a small museum plaque indicating their name right next to it. 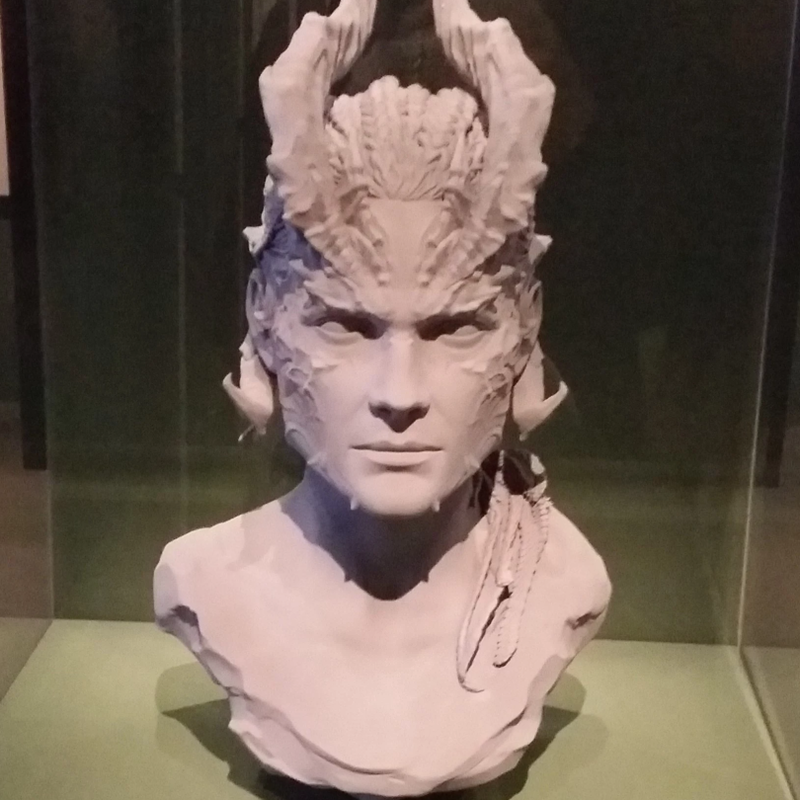 After seeing this exhibition, I will never look at concept arts in the same way. And it will probably change your vision of video games, too – especially if you aren’t a gamer yourself. The exhibition also consists in some videos of game developers and artists being interviewed about their inspirations, about the techniques they use, about their approach of game-making. You can see how game developers go from one concept art to an actual game level, or from one 2D-portrait to a 3D game character. The process of creating games suddenly appears less technical, less industrial and more human, more personal. The people who create games aren’t just businessmen and producers, they are actual humans, actual artists who work with passion and talent. You’ll also find a portrait of David Bowie’s incarnation in the game The Nomad Soul. Displayed in the exhibition are some game-historical treasures, like early sketches drawn by Michel Ancel when he first imagined the design of Rayman, lifesize portraits of video game characters that make you feel like you are viting the Renaissance section of the Louvre, artworks of various landscapes and cities, clay sculptures of game characters’ faces… Throughout the various sections of the exhibition, different aspects of the conception of video games are explored – recreating cities and historical events, building fantastic universes from scratch, giving life to characters… As you progress through the exhibition and see more and more artworks, you’re actually exploring various worlds and atmospheres – from the hostile nature of Wild to the dystopian Paris of Remember Me – and realise that there is no limit to the developers’ imagination. 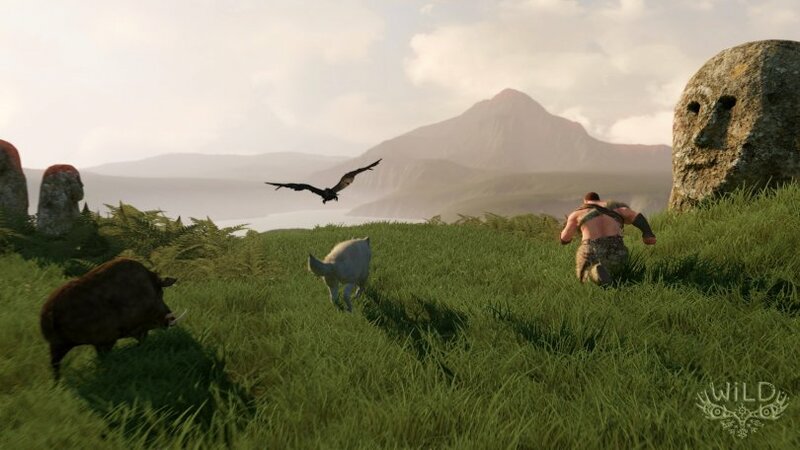 Michel Ancel’s Wild transports the player in an uncharted, Prehistory-inspired open-world. 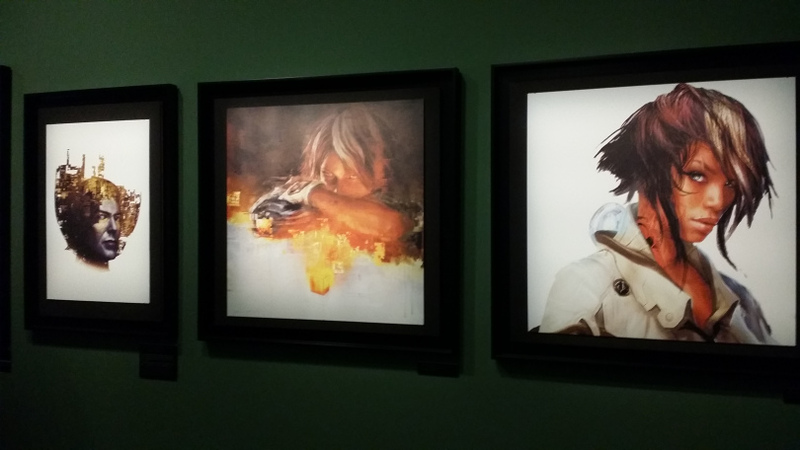 Artworks for the game are displayed in the exhibition. Concept artists don’t just create reference images for the developers, they create works of art that work just fine by themselves. Sometimes, artists try to tell stories or to depict details that won’t even make it into the game, but that are relevant as far as the artwork itself is concerned. The general idea behind the exhibition is the fact that “2.0 arts” are just as valuable as traditional arts – in fact, they are an evolution of traditional arts. The game developers that are interviewed in videos all claim the same thing: with the creation of video games, the only thing that changes for the artist is the tool, not the technique or the art itself. Digital painting requires just as much talent as traditional painting, facial animation and character modelization are as much of an art as manual sculpting. New technologies will not make an artist less of an artist – on the contrary, they can be a powerful tool for him to be able to express his creativity more freely. 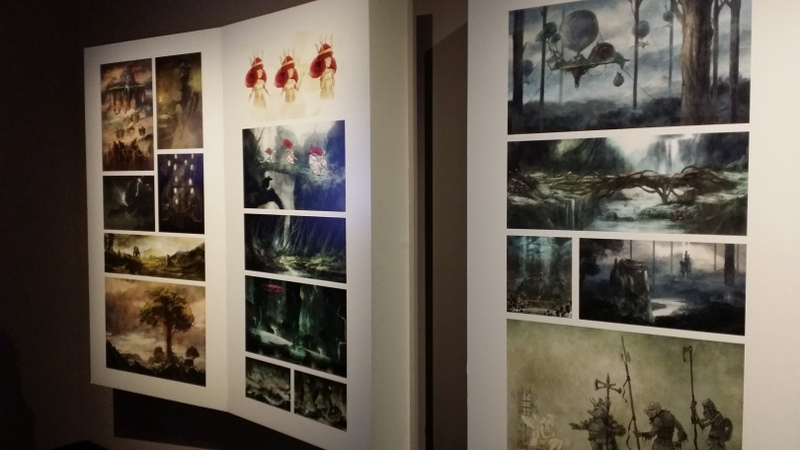 The final section of the exhibition focuses notably on Child of Light and Rayman Legends – two games that were created using the UbiArt Framework, a wonderful tool created by Ubisoft Montpellier, that allows artists to insert their drawings directly into the game levels. This is just another example of how technologies can provide new tools to artists – their artworks can become actual games within just a few seconds (okay, maybe more than a few seconds, but that’s still impressive). The curators of the exhibition make an interesting comparison, by stating that development studios are the new artist studios – places where several talented artists work together and learn from one another, in order to create one great work of art together. Today, game studios are one of the many places where artists – because that’s what they are – can express their talent and imagination. Video games might just be the future of Art. The complete name of the exhibition is “The Art in Video Games – French Inspiration”. And French it is, with artworks from French studios such as Quantic Dream (The Nomad Soul, Heavy Rain, Beyond: Two Souls), Dontnod Entertainment (Remember Me, Life is Strange) or Ubisoft Montpellier (the Rayman franchise). The exhibition is a great tribute to the French gaming industry. More than in other countries, French developers have always seen video games as a great medium to create art and to tell wonderful stories. In the 90s, we called that particular vision of video games “The French Touch”. Developers like Eric Chahi (Another World, 1991) or Frédérick Raynal (Alone in the Dark, 1992, Little Big Adventure 1 & 2, 1994 & 1996) expressed in their games an artistic, poetic but also quite unconventional vision of video games – great stories, poetic environments, an emphasis on the atmosphere more than the actual gameplay and action, which contrasted with the games of their time. Another World had an unconventional and difficult gameplay, but also a very peculiar atmosphere that was inspired by cinema, science-fiction and animation. It is a shame, given its focus on French video games, that the exhibition does not give the visitor some sort of historical insight upon this era – but it does prove that this particular vision of video games is still relevant in France. Games like Ubisoft Montpellier’s Valiant Hearts: The Great War, Wild Sheep Studio’s Wild, Dontnod’s Remember Me and Life is Strange are still representative of a particular “French Touch”, with a great focus on story, environments and narration, sometimes before fun and action. I’m not saying that there aren’t any talents in the game industry outside of France (I may be French, but I’m not that pretentious). Yet it still makes me proud to see that my country has a lot to provide to an industry (and an art) that I love, especially considering that one of 2015’s most critically-acclaimed games was Life is Strange, a (wonderful) French game. It just seems particularly significant and logical, after all, that such an exhibition should take place for the first time in France, with French games being displayed. The exhibition also gives credit to lesser-known independent games, such as Seasons After Fall, a French game set for a 2016 release. Artworks for this game definitely made me eager to play it! A “Total Work of Art”? While I absolutely loved this exhibition and although I must thank the curators of the Art Ludique museum for having devoted an exhibition to video games for the first time in the world, I still think it was too bad that they did not try to go further in their exploration of the gaming arts. Graphics and concept arts clearly are wonderful works of art, but what about the art of conceiving the gameplay, the art of writing of a story, the art of composing game soundtracks? It could have been interesting to find ways to highlight other aspects of the creation of video games, that are just are artistic and that require just as much talent as graphic arts. In the room where concept arts for Child of Light were shown, the game’s original soundtrack (composed by Canadian singer Coeur de Pirate) was played in the background. The combination of artworks and music conveyed an absolutely poetic and peaceful atmosphere – reminiscent of the actual game – and I thought other sections of the exhibition could have benefited from such a combination. The exhibition does prove that concept artists are, precisely, artists, but it does not give enough credit to all the other people that are involved in the creation of video games. Maybe next time, in another exhibition? All in all, I think this exhibition still does a great job of changing people’s views on video games, and that is already a lot. I think anyone can appreciate it – both people who are familiar with video games and neophytes. If you are a gamer yourself, you might be surprised to see elements from video games in a totally different context, and if you aren’t, I believe this exhibition can be a great way for you to learn more about the game industry, and to deconstruct whatever stereotypes you might have regarding video games. I don’t think everyone realizes how much art is at the core of game-making. So, if you happen to be in Paris before the end of the exhibition in March, do not hesitate at all and just go visit the museum. It is definitely worth it! The exhibition “The Art in Video Games – French Inspiration” takes place until March 6, 2016, at the Art Ludique museum (34, quai d’Austerlitz – 75013 Paris). You can visit the exhibition’s official website, the museum’s Facebook page and its Twitter account. Je n’aurais sans doute pas l’occassion de voir les derniers instznts de vette exposition mais ton article m’en a donné une envie monstrueuse !